The only thing I love more about Game Day than the commercials, is the food. 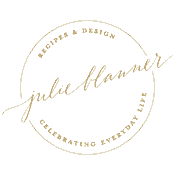 It seems like a perfectly good excuse to enjoy a meal made of appetizers, without guilt. That’s always been my preference anyway! 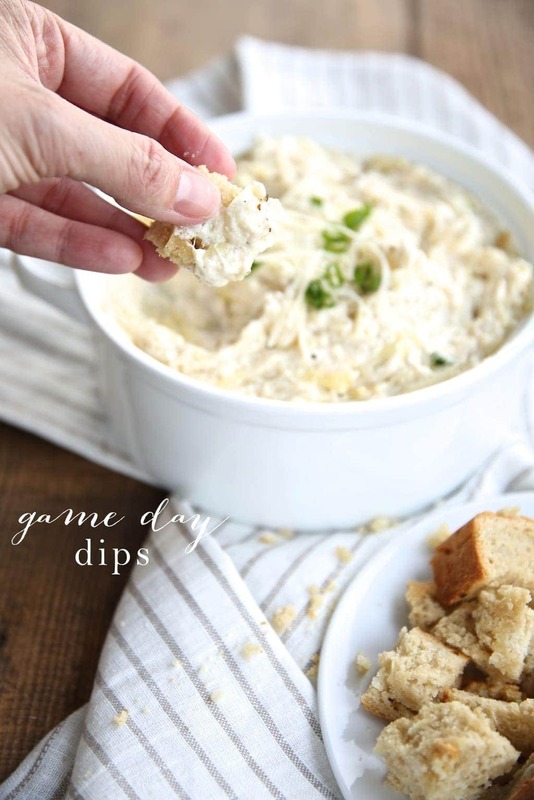 I’ve compiled my most popular game day dips to share with you today. If you’re hosting a party, you may also want to download my free printable trivia & commercial BINGO cards. 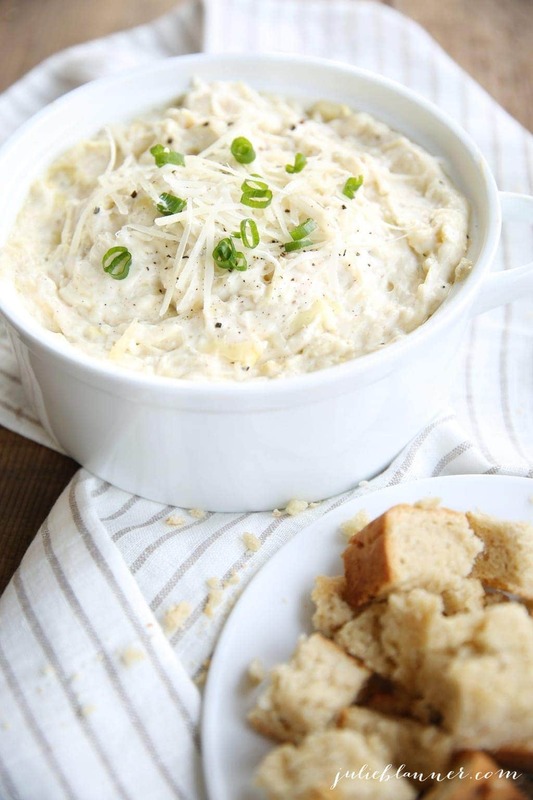 Just a few fresh ingredients create a flavorful dip that goes straight from oven to the table. With only 5 minutes of hands on time, this easy garlic cheese bake tastes anything but last minute! 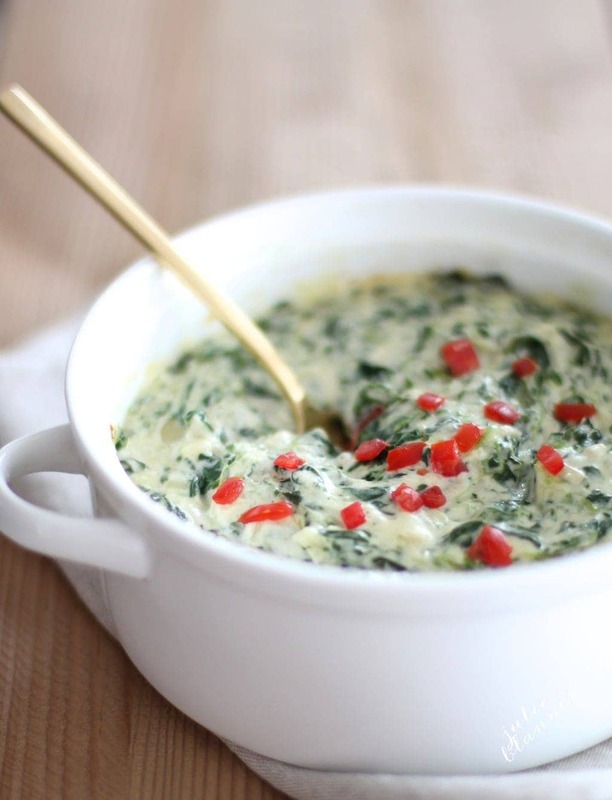 This creamy spinach dip makes a great last minute appetizer in under 10 minutes. 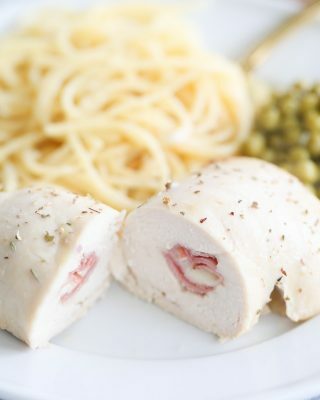 Don’t worry about leftovers! Save it to spread on any sandwich or make a grilled cheese. Of course making it a lunch of its own isn’t frowned upon either! Creamy chokes & cheese dip never disappoints! It’s prepped & ready to cook in less than 5 minutes. 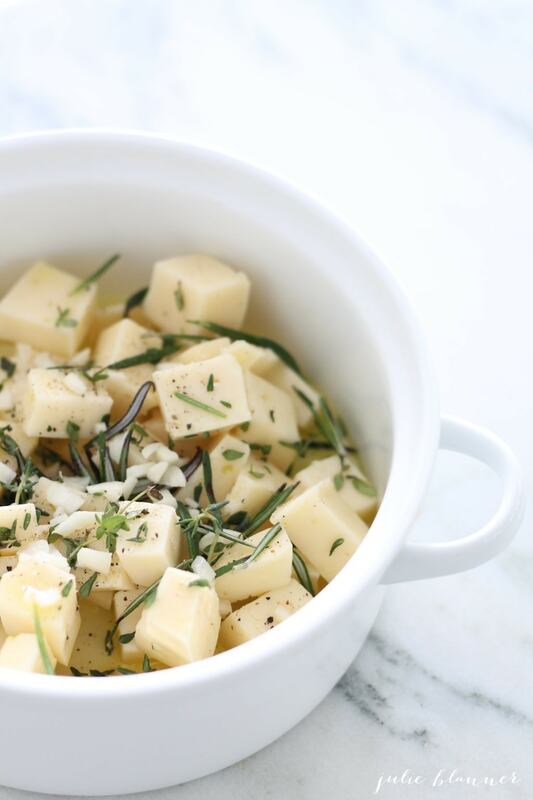 Serve warm with your favorite bread, chips or crackers! 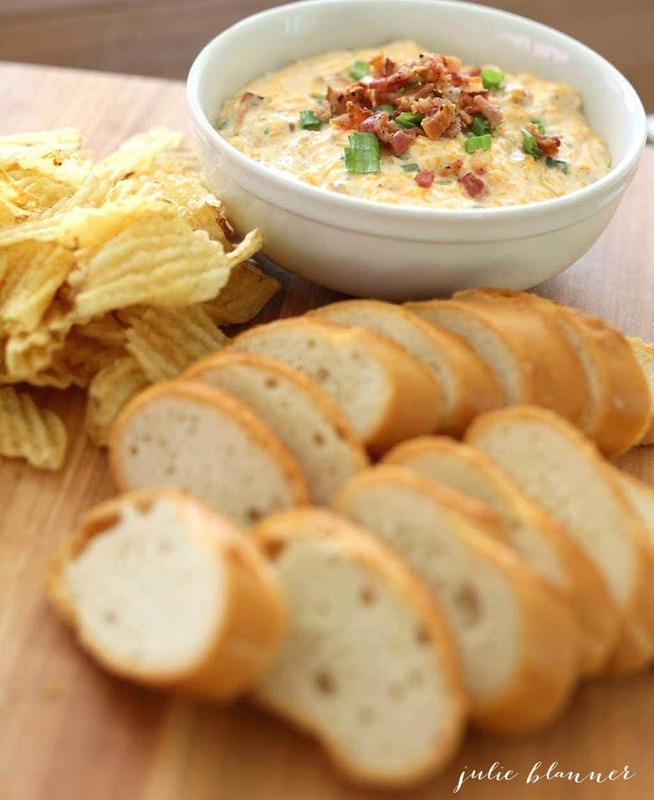 Bacon cheddar cheese dip is great for game day, or frankly, any other day you have a craving for a delicious and creamy snack! With only a few tweaks here and there, this recipe can easily be transformed into a skinnier option so you can indulge without feeling guilty! Full of great flavor, blue cheese dip is an easy yet savory snack for any occasion. 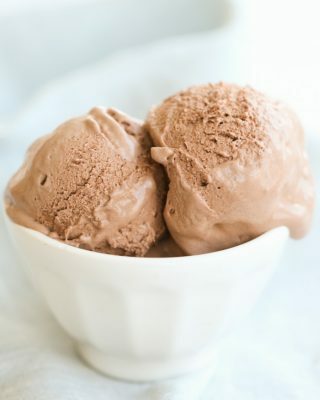 Just combine the ingredients and refrigerate until you are ready to serve. This dip is amazing paired with sweet potato chips! It is not a party without dill dip! 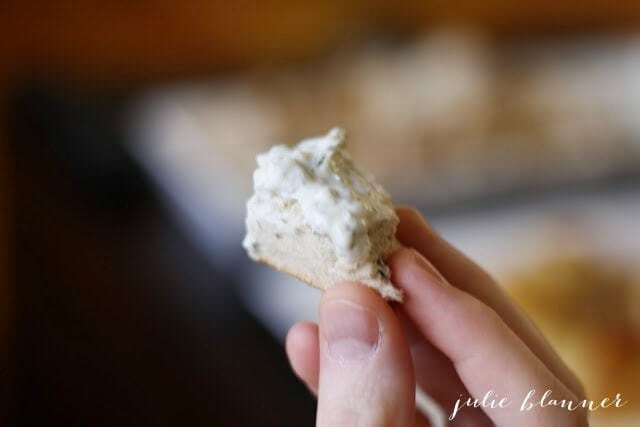 This dip recipe was a staple in our home when I was a child. 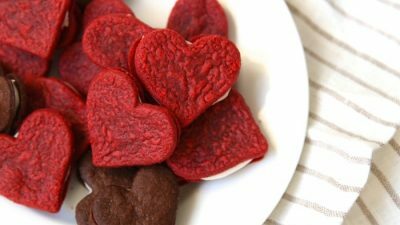 It can be prepared a day in advance, making it even more appealing! 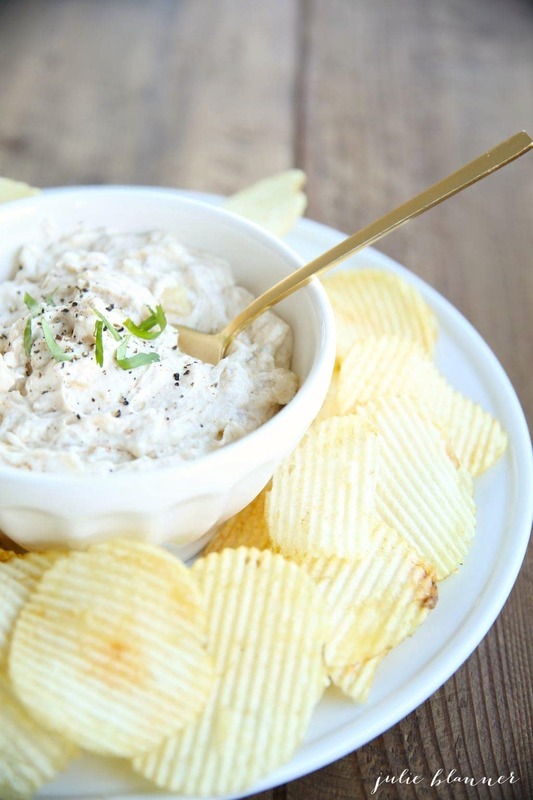 I’m obsessed with pan fried onion dip & make it any chance I get. You can even give it a little kick with cayenne! 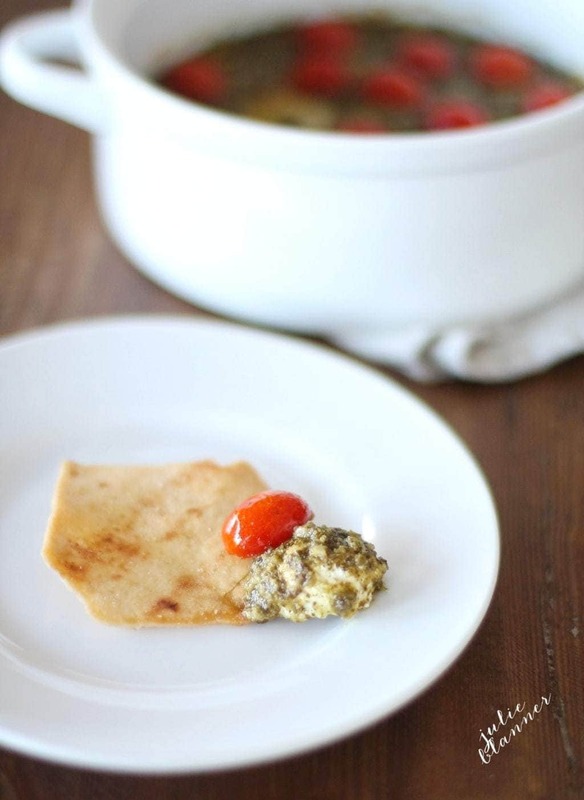 If you even remotely like pesto, you will love this festive cheese dip! Quick and easy pesto dip not only tastes incredible delicious and looks pretty, but is another recipe that requires only 5 minutes of hands-on time! 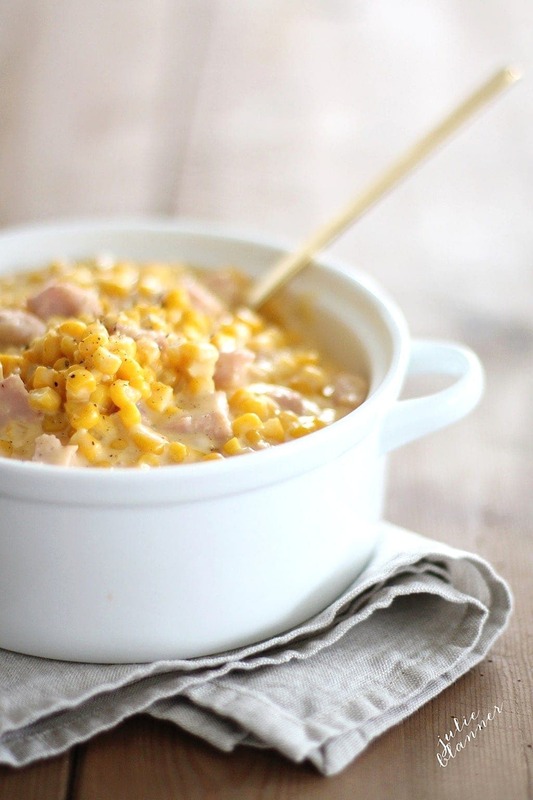 Serve this cheesy corn dip with chips for lots of game day smiles! 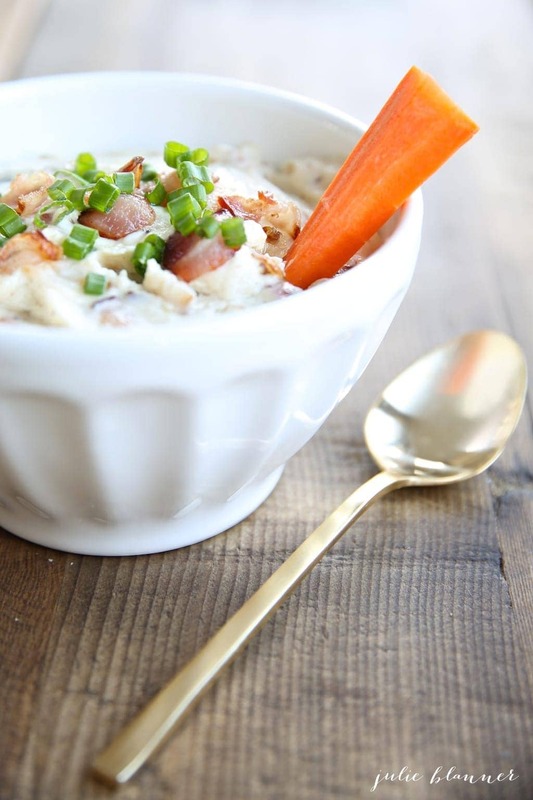 Bacon & gruyere dip is so good you won’t even notice that it’s on the lighter side. 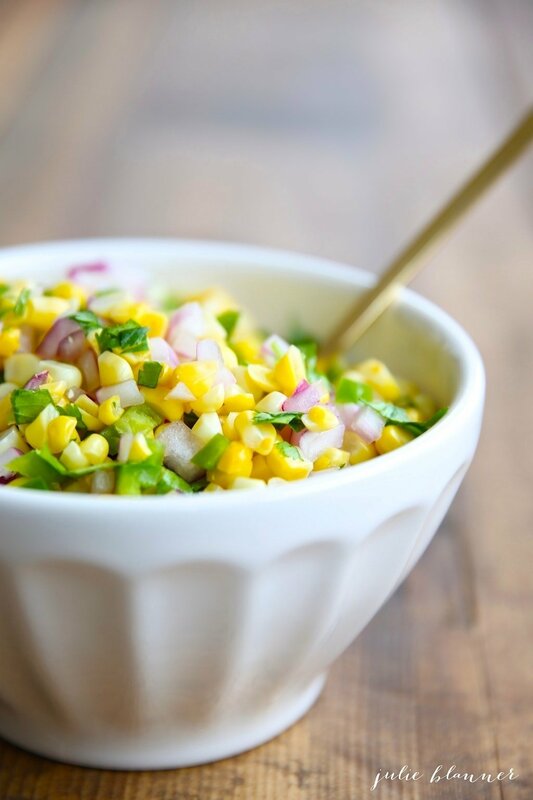 Chipotle corn salsa is a skinny dip, especially for those counting calories on game day! 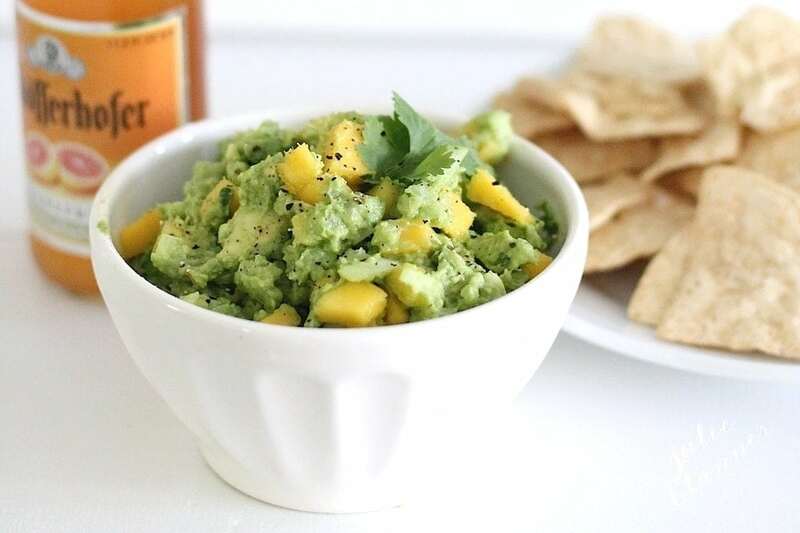 Give your guac a little twist – with mango! Get the mango guacamole recipe here. 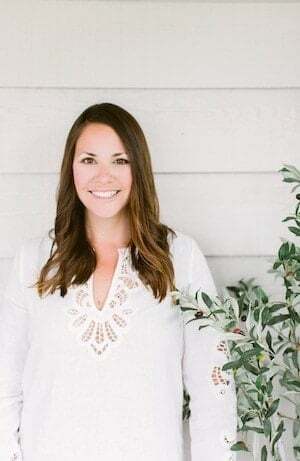 If you try one of these recipes, I’d love to see! 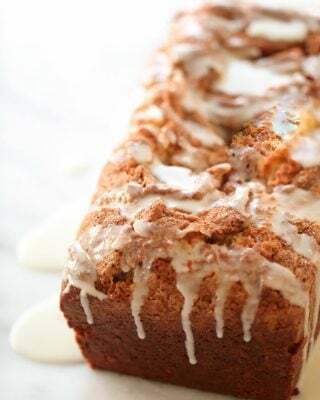 Just tag me on Instagram or leave a comment with a rating on the recipe. Now it’s time to try to widdle down the all of the dips I want to make on game day! 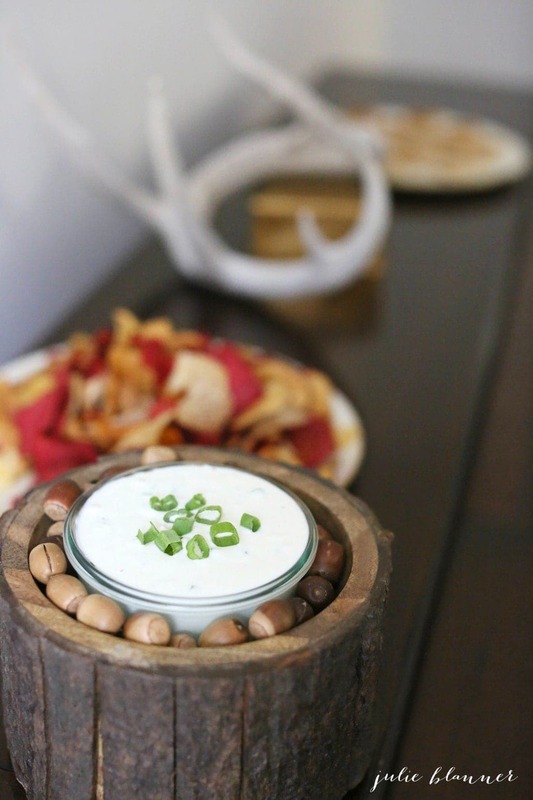 Which of these game day dips would you like to try? I’d love to know which your favorite is! 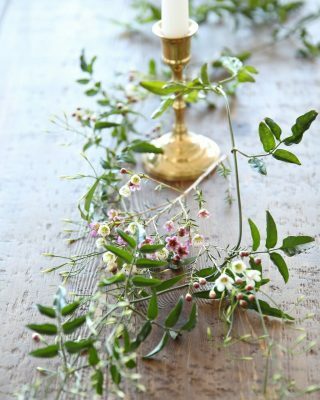 Have a beautiful Memorial Day weekend!